On 28 January, a NATO spokesperson said the date for signing the accession protocol of the 30th member of the alliance would be determined “in the coming days”, after Athens and Skopje both ratified a historic deal that ended their 27-year-old dispute in January, which has so far blocked Skopje’s efforts to join NATO and the EU. 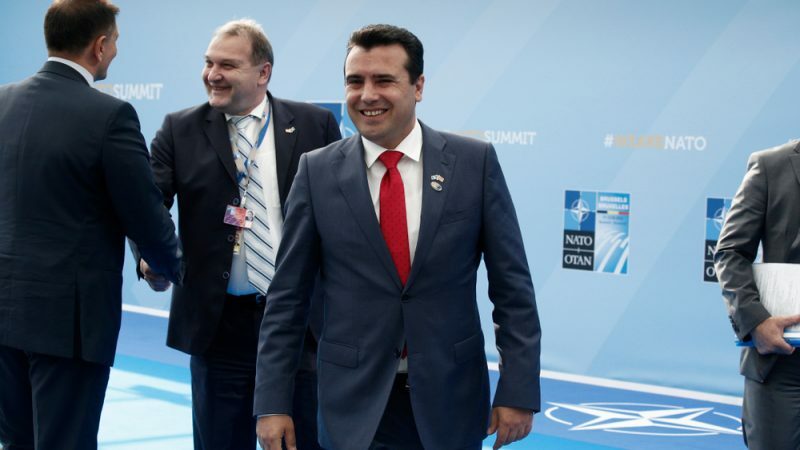 This practically means that North Macedonia could become a NATO member at the July summit if the rest of NATO allies speed up the ratification procedures as well. Normally the ratification process takes a year. According to sources, the official text of the accession protocol was approved yesterday and the 29 NATO permanent representatives are now waiting for authorisation from their countries to sign it. Once it is signed, it will be sent to the 29 capitals to be ratified by the national parliaments. 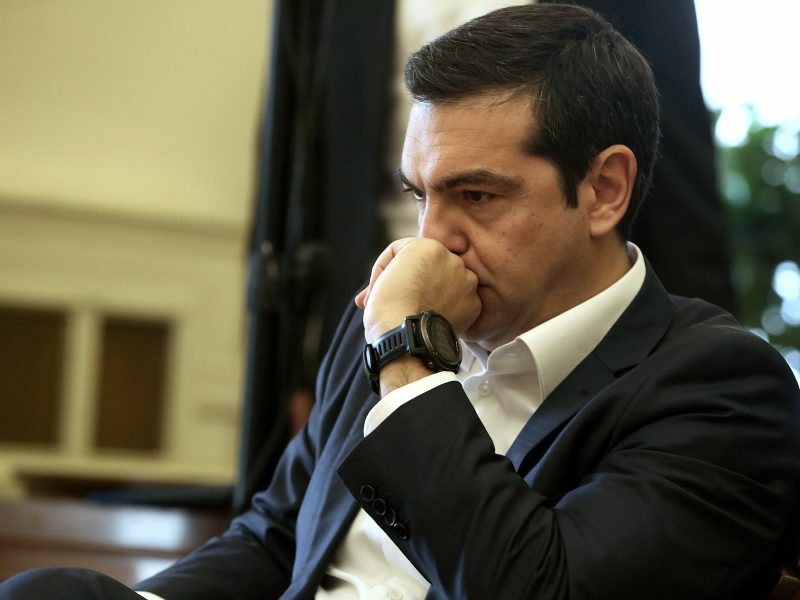 “Greece wants to ratify the accession protocol by 8 February,” the source said, adding that Athens will probably be the first country to open the NATO doors for North Macedonia. 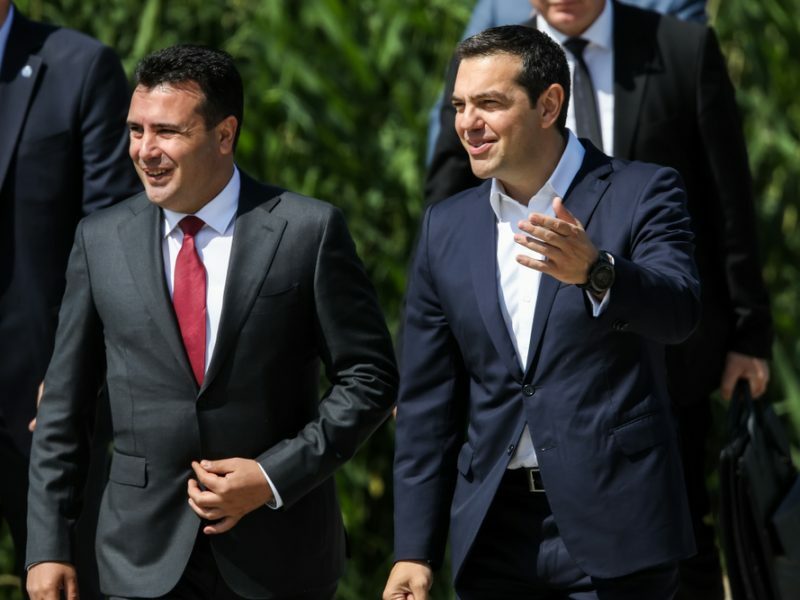 North Macedonia’s Prime Minister Zoran Zaev and his Greek counterpart Alexis Tsipras were nominated by the leaders of three EU parliamentary groups – Socialists and Democrats (S&D), Greens and United European Left-Nordic Green Left (GUE-NGL) – for a Nobel Peace Prize. Tsipras said on Monday the biggest prize was the fact that this agreement contributes to peaceful coexistence and cooperation in the Balkan region. “The well-known Balkan history can be set aside,” Tsipras said. When Greece approves its neighbour’s NATO accession protocol, the name change deal between Athens and Skopje will also come into force, as the final stage of the so-called Prespa Agreement. The Prespa deal was fully backed by the EU and the US while Russia opposes it, condemning Washington’s pressure to expand NATO’s influence in the region. The only EU leader who expressed reservations about the deal is Hungary’s premier Viktor Orbán. He offered political asylum to former Macedonian prime minister Nikola Gruevski, who is also the leader of the VMRO-DPMNE party, now an opposition party that opposes the Prespa agreement. Asked about the possibility of another member state failing to ratify North Macedonia’s accession, a NATO official said that it was strongly assumed that since all member countries have agreed that accession talks should start, they had the responsibility to ratify the agreement. For Dušan Reljić, head of the Brussels Office of the German Institute for International and Security Affairs (SWP), Russia has no genuine clout in southeast Europe now. “It has been prevented from projecting military influence to the whole of southeast Europe since the first decade of this century, when a chain of NATO state was created – from the Baltic to the Black Sea,” he told EURACTIV. “So Russian diplomats regularly publish press statements criticising Western actions in the region, but this is as far as Moscow can go. There are no means at Moscow’s disposal to influence decisively the situation on the ground,” he added. Reljić explained that the Prespa agreement could help southeast Europe look to a more stable future while future attempts to “re-negotiate” the agreement were bound to fail. “One can certainly expect that there will be attempts in both countries, should governments change, to renegotiate the agreement, but such an effort would probably be doomed to fail, also because of important interests in the West not to permit a roll-back,” the analyst said. The main Greek opposition party, New Democracy, voted against the name change deal in the Greek parliament and has vowed to do the same about the NATO accession protocol. “Western states and the US are concerned to secure stability at NATO’s southeast flank, particularly as it is difficult to predict the future trajectory of Turkey under President Erdoğan. So Northern Macedonia and the Prespa agreement are of much broader relevance than only between Skopje and Athens and will, therefore, most probably, endure,” Reljić said. 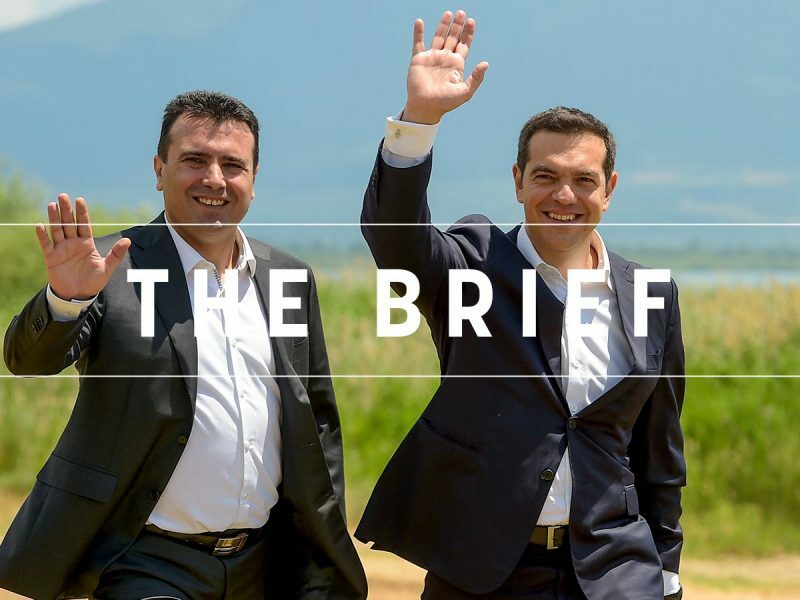 Another crucial parameter of the Prespa deal, according to Reljić, is that North Macedonia’s membership in NATO will be the most important barrier to a conceivable disintegration of that country because of the persistent ethno-political conflicts between Albanians and Macedonians. “Albania is already in NATO and has to respect the territorial integrity of other member states. However, the drive to create a unified Albanian political, economic and cultural space encompassing Albania itself, Kosovo, parts of Serbia and also of the Republic of North Macedonia has become stronger in the recent past,” the analyst said. Reljić said Albanian President Edi Rama was presently at the helm of such strategies, which he seems to be pursuing in anticipation of a deal between Serbia and Kosovo, possibly involving a new demarcation of borders. In a TV interview yesterday (28 January), Nikos Kotzias, the former Greek foreign minister and the man behind the Prespa deal on the Greek side, highlighted the role of ethnic-Albanian Ali Ahmeti, leader of the Democratic Union for Integration. “He was an ally in the solution and helped reach the Agreement,” Kotzias said. like in previous reporting occasions, also in the present there is evident the disregard for the rule of law, when referring to North Macedonia, only by ‘Macedonia’. this practice is established and continued by North Macedonia, and supported selectively from smags like Euractiv, etc, and the PM Tripras, who supports dictatorships like the one in Venezuela, while doing nothing to address the rampant corruption in Greece.